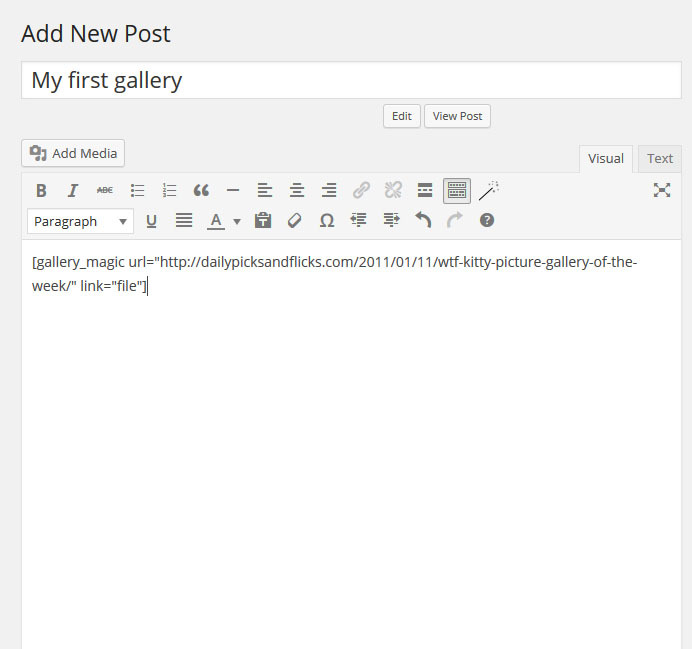 The Galley Magic plugin for WordPress automatically parses remote HTML pages and finds image galleries there, copies all full-sized images to a local host, crops the thumbnails and inserts them into your posts or pages as WordPress galleries. The plugin is very easy to use and it works in both manual and batch import modes. You can use the Gallery Magic shortcode right in the post editor or you can use it to mass import galleries form raw text dumps or a CSV files. Automatically uploads remote images to your host. Automatically generates featured images (post thumbnails). Works in manual and batch import modes. 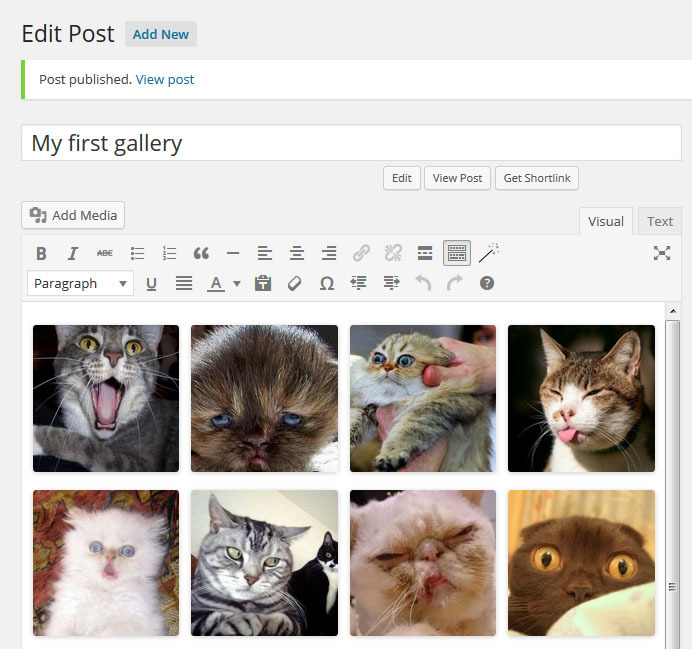 Allows to add more than a single gallery into the same post/page. size: specify the image size to use for the thumbnail display. Valid values include “thumbnail”, “medium”, “large”, “full” and any other additional image size that was registered with add_image_size(). The default value is “thumbnail”. The size of the images for “thumbnail”, “medium” and “large” can be configured in WordPress admin panel under Settings > Media. link: can be “file” (link directly to image file), “none” (no link) or leave it empty if you want to link it to the attachment’s permalink. This mode is very useful for importing a bunch of galleries from a plain text dump (e.g. CSV). Simple copy/paste your dump, set the formatting rules, adjust the post scheduler options and click the import button. Buy the Gallery Magic plugin unlimited domain license for only $49.95! Please make sure to enter orrect email. It will be used for sending you the download info and for notification about new releases and services.